Monday Madness – Island holiday: with chores included? After unexpectedly having a free week last week we decided to head to another island for more beach, sun and snorkelling fun! Our weekend in Koh Samet just hadn’t been enough. As we had a little more time than our previous trip we decided to go Koh Wai, a little further from Bangkok (around 5 hours by bus). Koh Wai is located off the coast of Laem Ngop/Trat near the border with Cambodia. It’s about a 45 minute speed boat ride to the island. The popular island (Koh Chang) filled with resorts is reasonably close by. After being on Koh Samet with its long white beach, crowds of people and filled with resorts, music and fireshows, Koh Wai felt a world away. Koh Wai only has 4 Bungalow operations, electricity on a generator (and only from 6pm until 11pm), and you have no choice there but to relax and unwind. It is a peaceful island with good snorkelling. Our bungalow almost sat in the crystal blue waters at high tide. 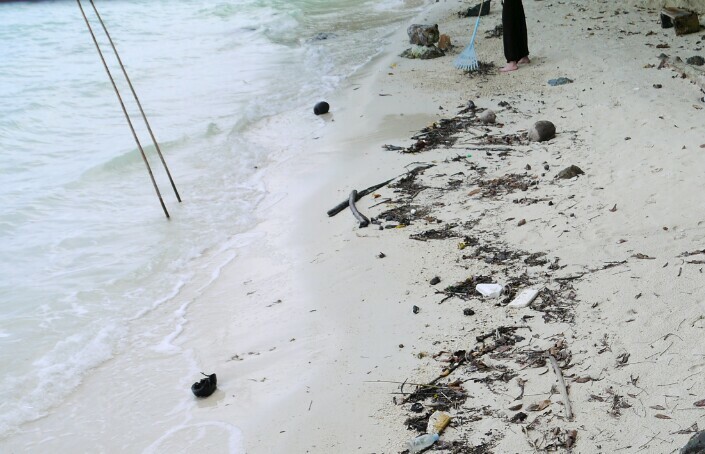 On other islands/beaches we’ve been on in South East Asia it has been obvious that the beaches have been swept of rubbish. I assumed that it was the workers at the resorts that did this but here on Koh Wai at the Bungalows we stayed in we were surprised to see it was the tourists who do the sweeping. 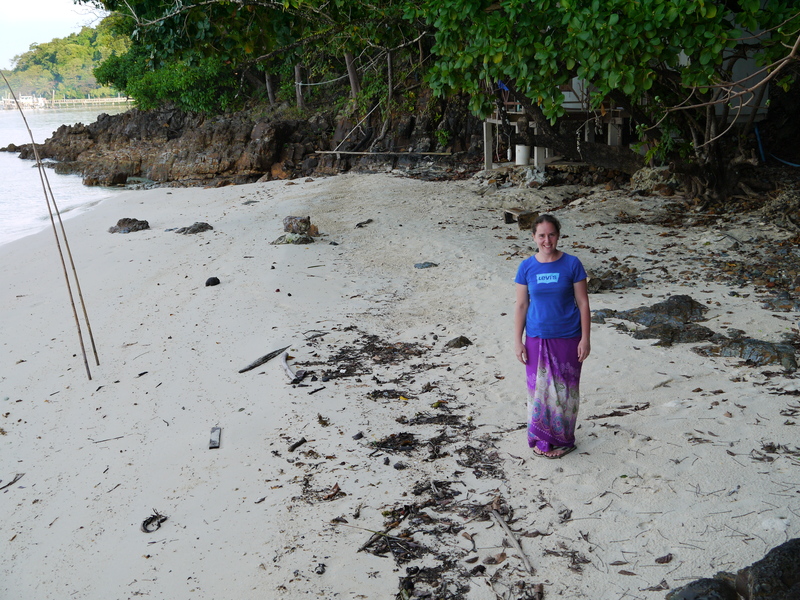 Kristal on our unsweep side of the beach! Love this. Your part looks much better.